When paired with its to-be-unveiled shell pant, the outerwear package will be dubbed the Champion Supersuit. The jacket on display this week in Salt Lake, which was designed for a summit bid on Mount Everest, employs a super-insulating nanotechnology called Zero-Loft Aerogel. 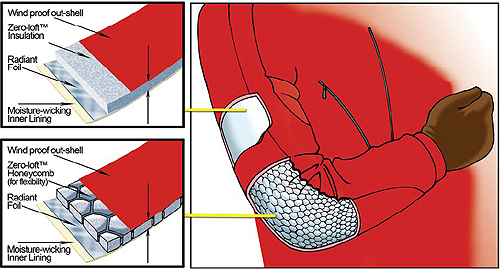 The special material, made by Aspen Aerogels of Northborough, Mass., allowed Champion to design outerwear pieces that retain heat while still remaining much thinner than the puffy goose-down suits commonly used on Mount Everest. How does it work? The Zero-Loft Aerogel product is derived from silicate materials and based on decades-old chemistry involving the polymerization of silicic acid. But the structure of the stuff is actually composed of “more than 99 percent air,” according to the company. This makes it a highly-effective insulator, as hot air is trapped in a matrix of microscopic chambers. 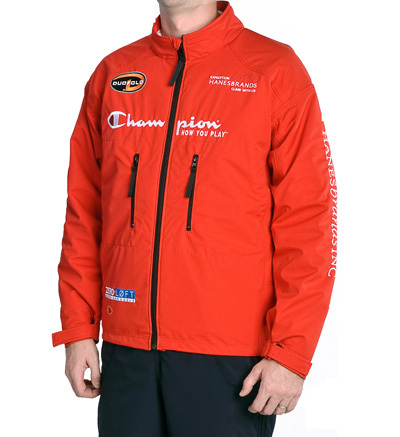 Champion touts it as four times as warm as goose down — but much thinner. Beyond the gel, the Champion jacket has a waterproof/breathable polyester face fabric, a radiant layer to reflect back body heat, and an inner wicking layer. The four-layer jacket will be only a few millimeters thick. Champion is touting its Supersuit as having “the potential to change the entire outdoor apparel industry.” The goal is to make an outerwear suit that is comfortable, non-bulky, and performance-driven. Beyond the jacket, the company has designed custom apparel for Expedition Hanesbrands from the socks on up. (See the full spread here: http://gearjunkie.com/everest-gear.) The goal — “to build a better mountaineering suit” — brought a group of designers and textile scientists together at the company to form a special R&D team. So far, the team, led by climber Jamie Clarke, has tested the apparel and outerwear on Mount Pumori in Nepal. 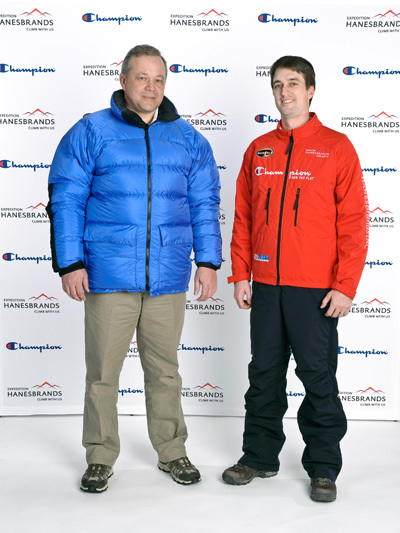 This spring, Expedition Hanesbrands heads to Mount Everest. With good weather, hard climbing — and nanotechnology on their backs — Clarke and his crew are counting on the Supersuit to help them make it to the top.